As the North American traders enter for the day, the AUD is the strongest currency of the majors, and the GBP is the weakest. PM May is rumored to want to ask for a Brexit delay of 3 months (to June 30th) and they will look to bring a proposal for a 3rd meaningful vote. CPI data out of UK was mixed with the headline higher than expected, and the core a little lower than expected. 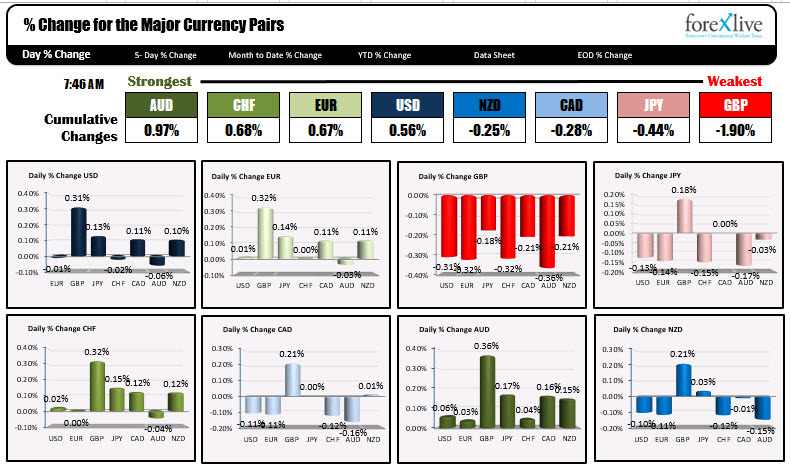 The USD is mostly higher with small declines vs the EUR, CHF, and AUD and gains vs the GBP, JPY, CAD and NZD. The FOMC decision will be announced at 2 PM with press conference scheduled for 2:30 PM ET. No change is expected but the focus will be on the dot plot. Will the Fed downshift to 1 hike in 2019 from 2? 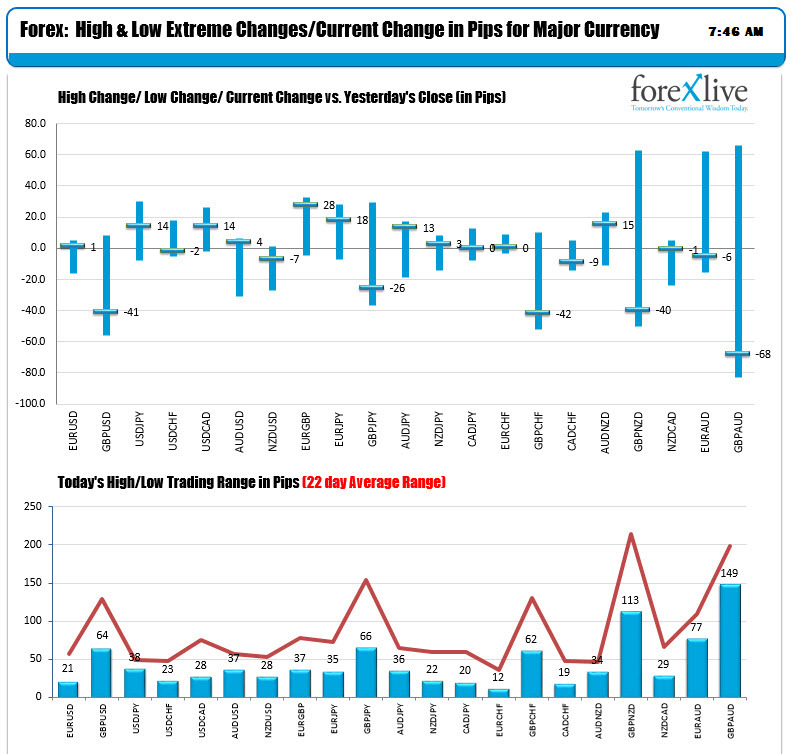 The changes and ranges show limited ranges for the major pairs vs the USD, as well as the major cross currency pairs. THe GBPUSD has a 64 pip range and is trading down -41 pips. The other pairs vs the USD are 38 pips or lower (not a lot). There is room to roam. WTI crude oil is down -$0.56 or -0.95% at $58.47. In the European market, the 10 year benchmark yields are mixed around unchanged levels.